Here at House Removals London, we help take the strain out of your house move by providing a first-class removal service. We pride ourselves on being professional, friendly and dependable. We understand that when we move the contents of your home, we are moving a big part of your life. You can trust us to handle everything with the care which your cherished items deserve. We know that moving house can be a challenging time. Take one of the worries away by having all your things transported by professionals. Our skilled team can find solutions to move even the most unusual items safely. Based in London, we offer removal services right across the capital and beyond. Whether you are moving within London or leaving the city for pastures new, we can help get you and your things settled into your new home. We recognize that every house removal is different, with particular complexities, so we take the time to listen to you and tailor our services to meet your individual needs. We will carry out a pre-move assessment at your home to make sure we understand just what you need. We calculate how many vehicles are needed and identify any items which will need extra care in transport. Our removals expert will then explain our side of the process to you so that you are familiar with the details of what will happen and when from packing and collection to delivery and unloading on arrival at your new property. It’s always easier when everyone knows exactly what’s going on. Soon after meeting with you, we provide a no-obligation quotation, with a full breakdown of the removal costs. We keep our costs transparent so you don’t need to worry about hidden extras. We can give you packing advice and supply packing boxes to you. If you find the idea of packing the contents yourself daunting, ask us about our professional packing service. 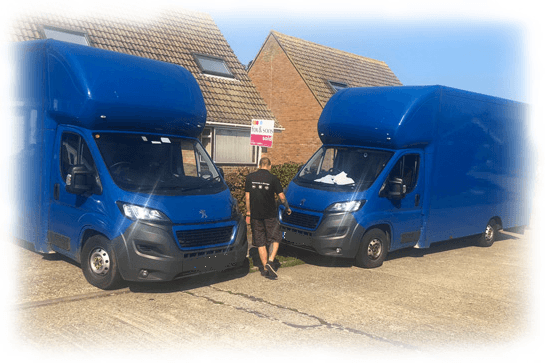 It can take a lot of the hassle out of the move, and our experienced teams can do all of your packings for you both carefully and efficiently. If you need to place some items into storage during your removal, let us know and we can arrange that for you. We can also provide a fully insured service for your complete peace of mind. We want to look after the planet, too, so when everything is unpacked, we can collect your unwanted packing boxes to be recycled. Let our experienced team of removals professionals take the hassle out of moving all your treasured possessions from your old place to your new home. Call House Removals London today on 0203 936 0756 to arrange your free no-obligation quote.